I bought some really pretty die-cuts from Grace Taylor recently and decided to use some of them to make some baby cards. First I made two baby cards with a die-cuts of a pram, one boy and one girl. 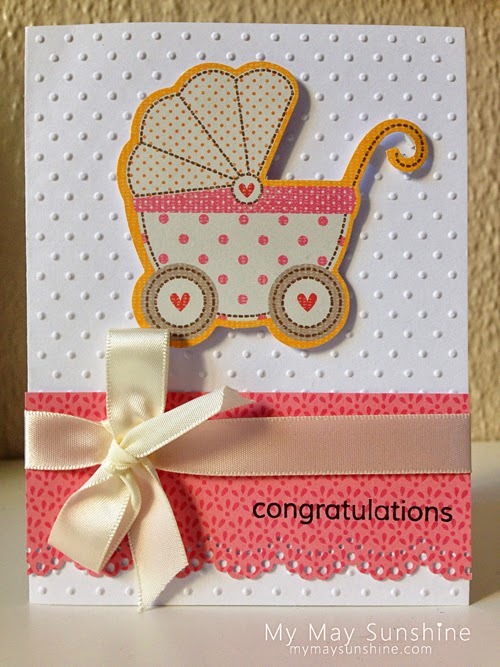 I used some patterned paper that matched the colours in the prams and some ribbon and twine that matched too. 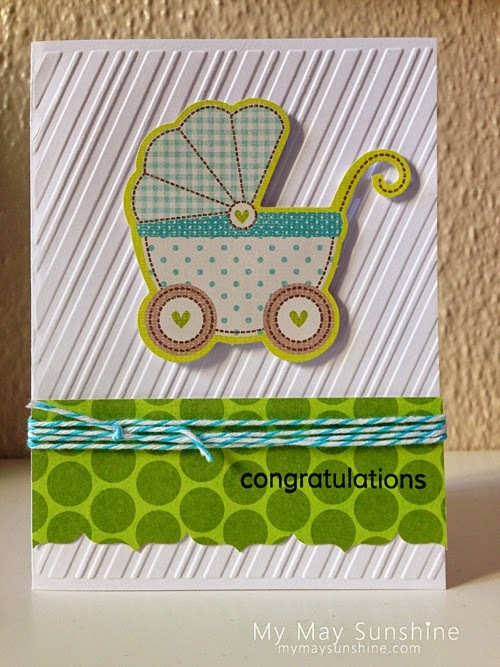 I embossed that background with some Cuttlebug embossing folder, to make the background less plain. For the sentiment I used the Clearly Besotted stamp set A Little Sentiment and kept it simple by using the congratulations sentiment. 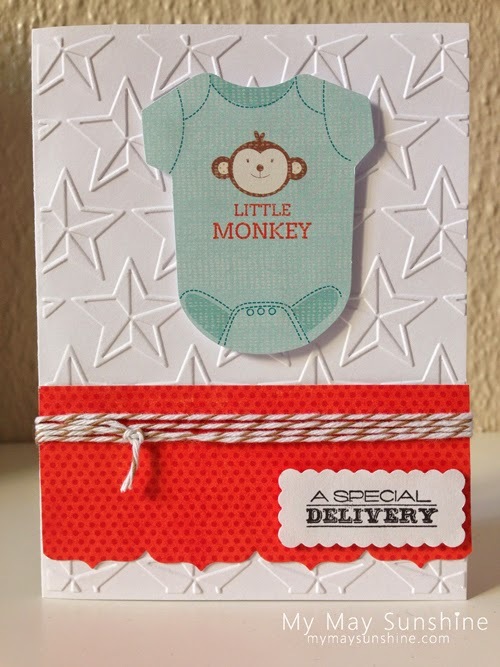 For the last two cards, I used the cute onsie die-cuts. Again I used some patterned paper that matched the colours in the die-cuts and used an embossing folder on the background to make it less plain. The sentiment is from the Clearly Besotted stamp set Tag it. Paper – My Minds Eye Lime Twist Out of the Blue and Fly a Kite and American Crafts My Girl | Stamps – Clearly Besotted A Little Sentiment and Tag It | Image die-cuts – Grace Taylor | Embossing Folders – Cuttlebug Candy Stripe, Swiss Dots, Stars and Craft Concepts Wings | Ribbon – American Crafts and Hobbycraft | Twine – Sew Sweet | Border Punch – Fiskars Upper Crest and Martha Stewart Lace doily. Using the die-cuts made these cards really easy to make as I didn’t have to stamp an image or use an embellishment but they make the cards so cute! Hope you are having a lovely week. See you soon.